SEMA, or the Specialty Equipment Market Association, is an automotive event held every year in Las Vegas, Nevada, at the Las Vegas Convention Center. Its purpose is to showcase the newest and most out-of-the-box vehicles on the market each year. 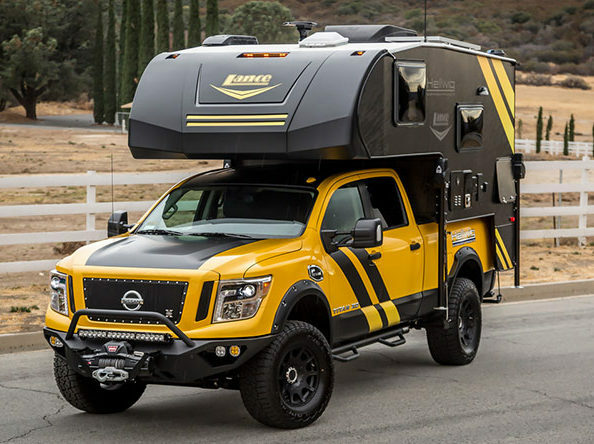 And this Nissan 2016 truck/camper/rig is one of the most unique vehicles that has ever been created for SEMA 2016The many companies involved in creating this Nissan rig include Hellwig Products, Lance Campers Icon, Bushwacker, MegaFlow, Warn, Torklift International to just name a few. If you think this rig is a little over-the-top Nissan diesel, you would be right. 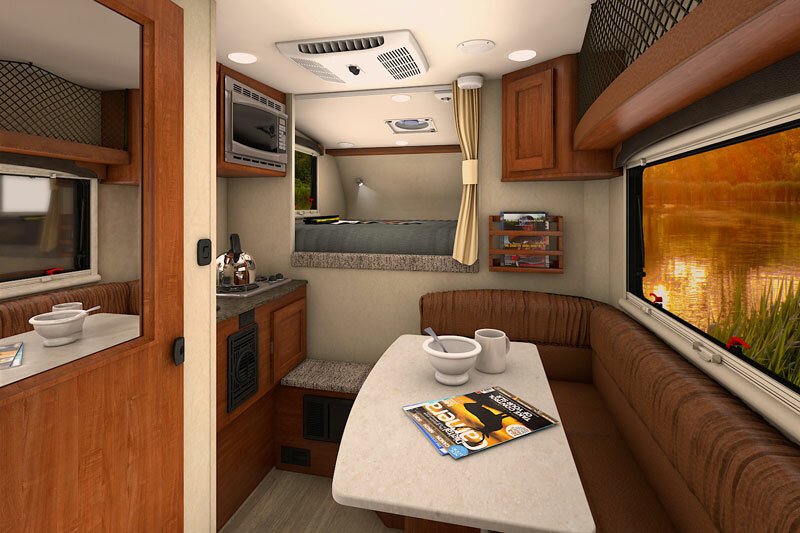 It is visually stunning and breaks all the rules of the conventional diesel truck-campers. For example, its new ladder-frame is much more heavy duty than the 2015 model. And the Nissan Titan XD even has a payload increase of up to 2.500 pounds. Even with the stronger frame the big news is that this vehicle has a Cummins 5.0-liter turbo-diesel V-8 engine. It is 310 horsepower with 555 lb-ft of torque at 1600 rpm, which is making people who attend SEMA taking more than a second look at Nissan as a company. And the gossip around this amazing truck is that with a lighter transmission and gas engine, the payload could increase to 3,000 pounds. 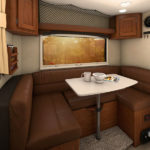 So, with all this increased technical wizardry, what are the benefits to owning and driving this one-of-kind truck/camper? 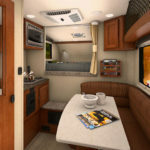 First of all, it is a great vehicle for travelling and will be the talk of any campground you might visit. It can suit a small family or a single person, and has great off-road capabilities. As an all terrain vehicle it is unsurpassed by any of the competition. Its eye-catching appearance makes it a very cool truck to drive and can make you the envy of every other truck/camper owner. The Nissan Titan XD has features unique only to this remarkable vehicle. It is versatile and that versatility is out-classed only by its gorgeous exterior. If you enjoy being on the road, seeing new places and meeting new people, this truck/camper and the compactness with which it has been built, are just the thing. It is easy and simple to load up, asks only for your bare necessities and your love of driving, and will give you back the ride of your life. 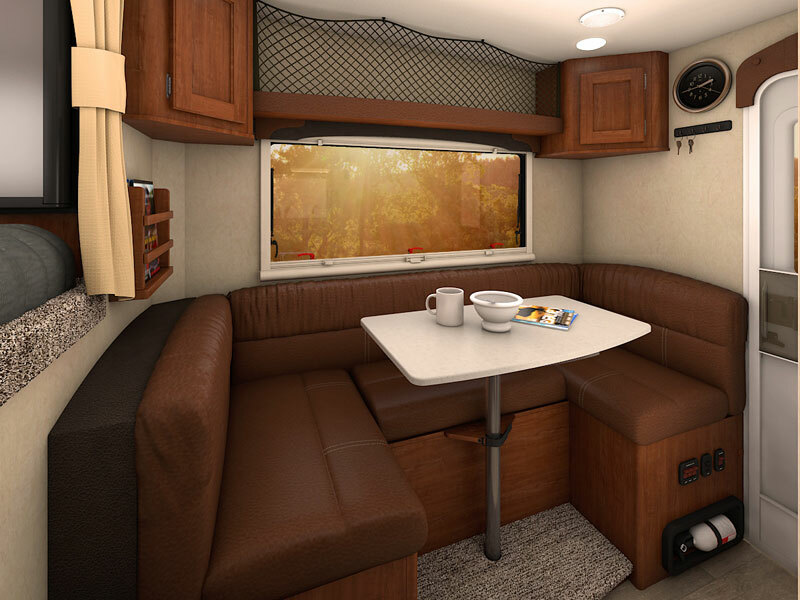 There is fun and adventure ahead of you and your family in this fine rig. For more from Old Truck Camper Magazine, find them indexed in our vehicles, trucking and RVing directory. You can search for the company’s name and look for suppliers and dealers in an area near you by looking at our regional headers. And to see more Trucks, click here.